Have you noticed that API providers are starting to offer "descriptions" of their APIs? These are usually OpenAPI specifications, computer-readable documents that describe every aspect of an API's endpoints. They can be used to generate documentation, SDKs, but now they can also be used for my favourite API-related activity: poking around! Postman just added a feature to allow importing OpenAPIs and I love it. You get a collection with all the described endpoints and when you select one, the request is already crafted such that all you need to do is fill in the values you want to send (Pro tip for Nexmo APIs: you'll usually need to add the api_secret field yourself). What I love about this is how quickly I can start to poke around in unfamiliar APIs, with very easy access to request formats, descriptions of what should be in each field, and so on. The world of OpenAPI is wide and growing all the time, and as more and more API providers offer API descriptions, more and more developers will have the ability to play in the sand using familiar tools and a new API. 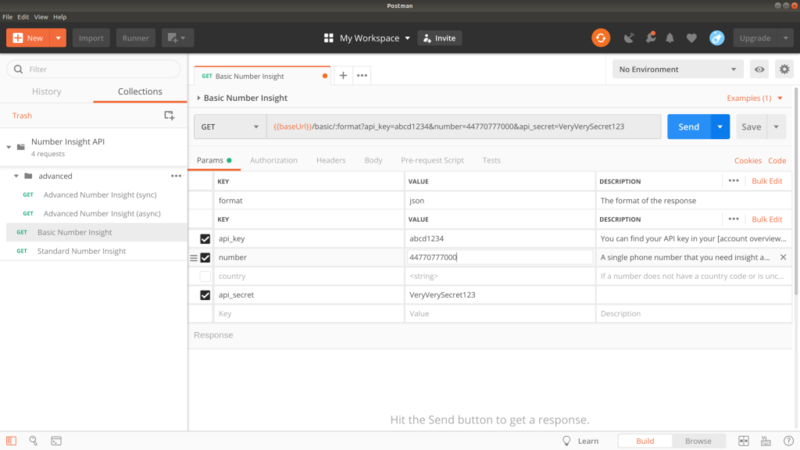 This entry was posted in tech and tagged openapi, postman by lornajane. Bookmark the permalink.